Kelli Prejean, associate professor of English and coordinator of the composition program at Marshall University, will deliver the Winter Commencement address Dec. 16 for fall 2017 graduates. Kelli Prejean, associate professor of English and coordinator of the composition program at Marshall University, will deliver the commencement address at the Dec. 16 Winter Commencement ceremony for fall 2017 graduates, set for 10 a.m. at the Big Sandy Superstore Arena. The associate professor said she feels honored to be given the speaking slot and plans to use it as an opportunity to highlight and credit the women leaders who have led to her success. “I want to celebrate some of the strong women leaders that I’ve come to know, that have pushed me even if they didn’t know they were modeling behavior that I thought was really smart and productive and modeling good leadership that made me want to push myself and to take chances and to do things that I wasn’t comfortable with,” Prejean said. 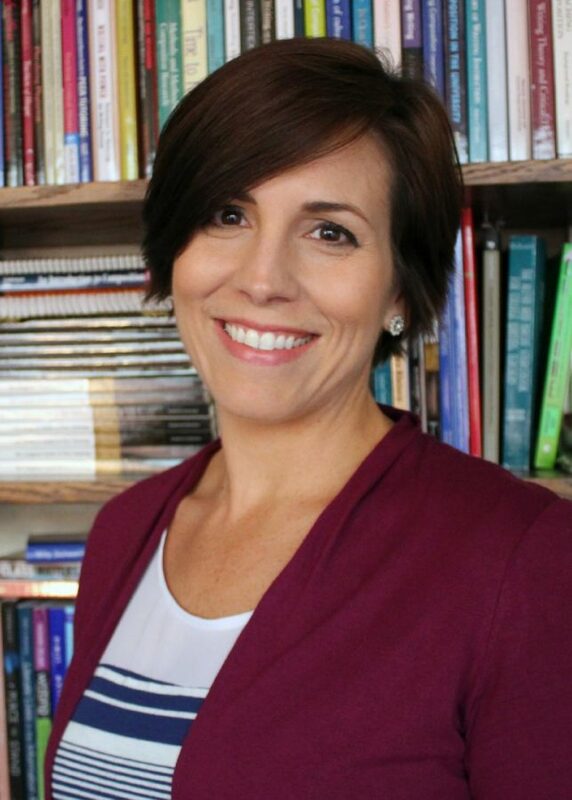 As an associate professor of English and coordinator of the composition program at Marshall University, Kelli Prejean began her career in West Virginia after receiving her Ph.D. in rhetoric and composition from the University of Louisville. Native to southern Louisiana, Prejean had never been to the Mountain State and was not familiar with Marshall, but said her experience has been nothing short of rewarding. Prejean’s field of work as coordinator of composition ranges from mentoring and training teachers who teach freshman writing courses, to training graduate assistants who plan to teach at the college level for the first time. Prejean’s contributions to Marshall have not gone unnoticed. As the 2017 recipient of the Marshall and Shirley Reynolds Outstanding Teacher award, Prejean said the award came as a great surprise and honor. “I just wake up every day and do my job, and I’ve been fortunate enough to have people recognize that work and feel like I am worthy of some award,” Prejean said. Prejean said she wants to emphasize one special piece of advice for the graduates to leave with and one that she has lived by.